The best thing about Shawarma is that it can be served in several ways: on a plate, as a sandwich or a wrap. Here, we are serving shawarma as an appetizer. Get the recipe below and include it in your menu! Tip: reduce your production cost by making use of off-cuts of meat. With a sharp knife slice the beef into thin slices. 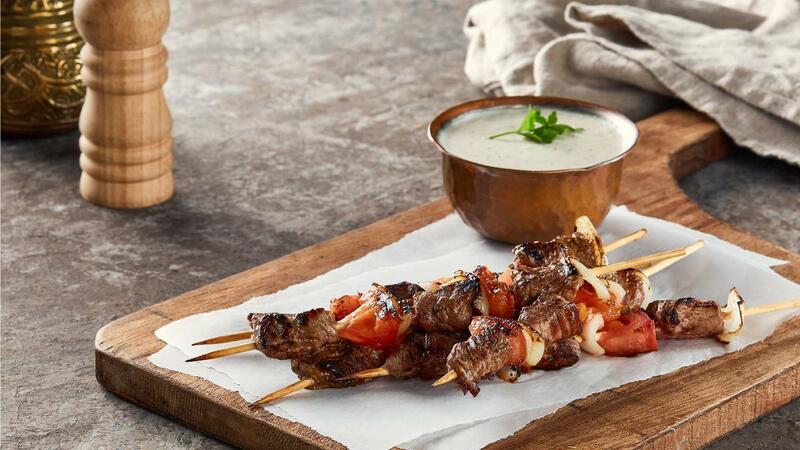 Mix the vinegar with the yoghurt, parsley and Knorr Beef Shawarma Marinade. Marinade the meat for 30 minutes before skewering on presoaked wooden sticks. Cook the skewers of hot charcoal for a smokey flavor.